Call me crazy, but I love whipped cream. It’s probably one of my favorite things to eat, especially when it’s homemade. If you haven’t made it before and you have a mixer (even handheld) I urge you to give it a try! 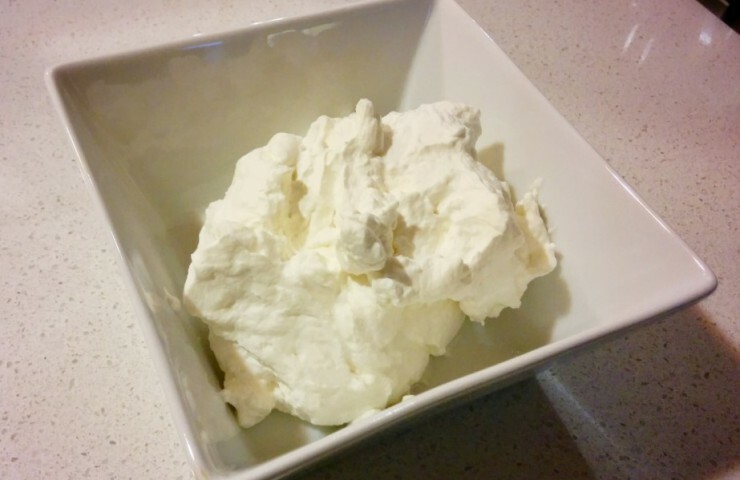 To make about 1 cup of whipped cream, combine 1/2 cup of heavy whipping cream, 1/2 teaspoon of vanilla extract, and 2 tablespoons of powdered sugar in your mixing bowl. 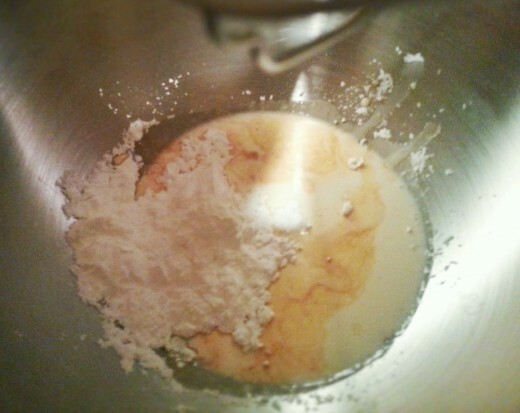 Turn the mixer on medium high speed and let it run for about 2 to 3 minutes, or until stiff peaks form. While it’s running, you may need to stop it and scrape down the sides of the bowl once or twice. 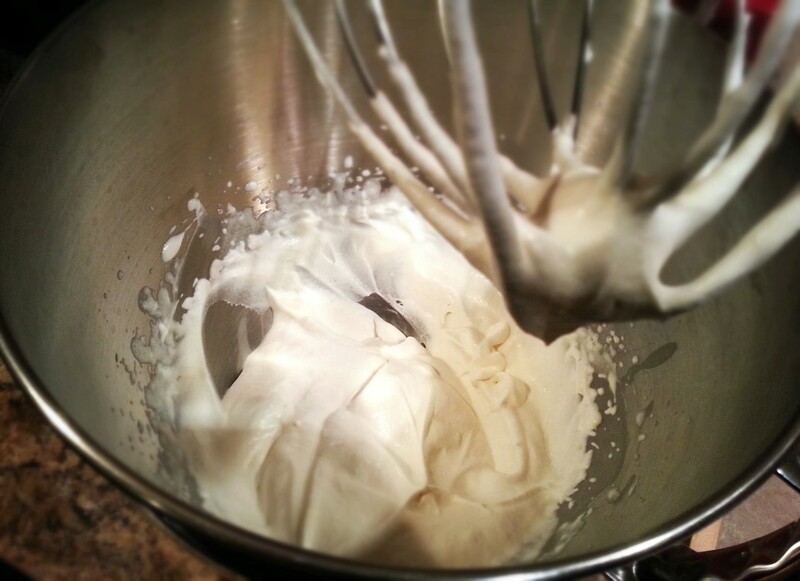 In case you’re wondering how to test for stiff peaks, use the head of the mixer and dip it into the cream. When you lift it up, the cream should be able to stand up and form a peak. 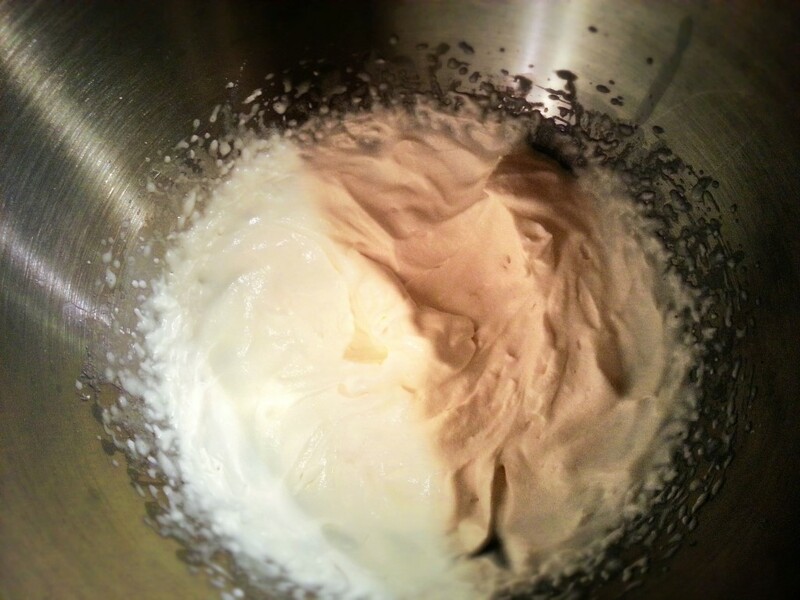 If the cream is too runny, continue to mix until the thicker consistency is reached. Place all ingredients in your mixing bowl. Using the whisk attachment, turn your mixer on medium-high speed and mix for about 2-3 minutes, scraping down the sides of the bowl when necessary, until stiff peaks form.